Traktor + vinyl + audio interface = Traktor Scratch. And while NAMM is cluttered with new DJ gear, this one deserves special attention. The audio interface alone may be worth a look, whatever system you use. Months after they cut the cord with long-time partner Stanton and Final Scratch, Native Instruments is not surprisingly back with their own vinyl control solution, Traktor Scratch, and a new audio interface, the Audio 8 DJ. Vinyl/CD control: Remember when there were two vinyl control systems, primarily Stanton’s Final Scratch and Serato’s Scratch? Now we’ve got Numark’s CUE, M-Audio’s torq, and NI’s new Traktor Scratch vinyl. So, why would you want to use NI’s system with so many (potentially confusing) choices? NI claims its system uses twice the resolution, offers a failsafe that will work even with a whole channel of timecode not functioning, and boasts minimal “needle-drop” times, along with an unique level of integration with Traktor. Optional Traktor DJ upgrade: If you choose, you can upgrade to the full Traktor for four decks instead of two, software mixing with additional, modeled-analog EQs and filters, recording and overdubbing, more looping, automatic beat-matching, and so on. The whole package ships with “instant connect” cable snakes (or “multi-core” in NI parlance), time-code vinyl, and time-code CDs — pretty much everything you need except for decks and (if you prefer) your own mixer, though you could mix right in software, especially with the Traktor DJ upgrade. How does this compare to other options? Well, what impresses me most is that NI has a vision of the complete solution, and that they cater so nicely to scratching on decks. The elements that are missing — decks, control surface, mixer — are the elements most likely to be variable. 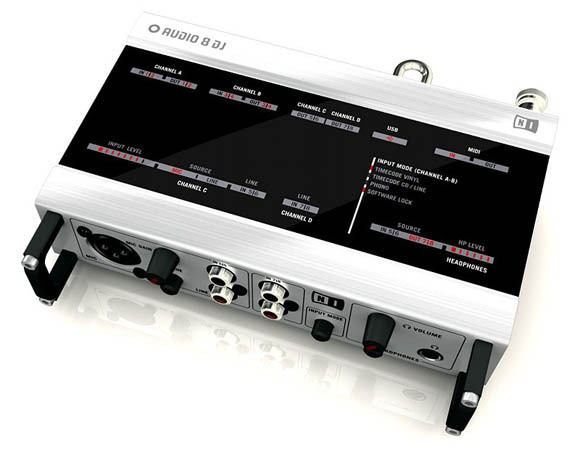 For instance, you might choose different control surfaces based on whether you’re doing in-computer mixing, and how many channels; the NI system should scale nicely to different users. Compare, for instance, M-Audio’s new Xponent offering: there’s a big control surface, but it assumes you want to use jog wheels, and there’s no audio input capabilities — requiring another device. NI also clearly has an edge with their software; the competitors look nice, but it’s difficult to compare to the upgrade path to the full-featured Traktor. Still, even the audio interface looks like it could be useful for anyone using decks; there’s nothing stopping you from using Ableton Live with an AUDIO 8 DJ and some decks. I’m glad NI offered these unbundled — again, something competitive products aren’t doing. Overall, in a NAMM cluttered with DJ products, NI is a clear standout. I look forward to getting a full test for CDM. By the way, am I the only one who thinks the logo font looks like the website Skratchworx? 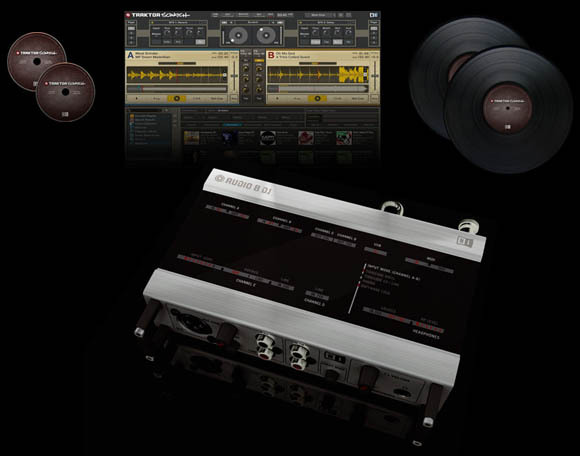 Pricing: US$669 for the whole package; US$449 for just the audio interface (with US$119 upgrade to Traktor). Updated 2007-03-23: Zzounds has the unit listed as shipping on April 15th. US$599 for the full package. JL.